*The Galaxy have a bye in MLS play this weekend ahead of the April 6 SuperClasico with Chivas USA, although the Galaxy II play their second ever game Saturday in Carson against the Sacramento Republic coached by former Chivas USA coach Preki and with a forward line led by former Chivas USA striker Justin Braun. Republic will play its inaugural USL pro game against the Galaxy. Goalkeeper Brian Rowe, forward Chandler Hoffman and defender Tommy Meyer were loaned to the reserve side for the game, the Galaxy announced this morning. *Coach Bruce Arena will undoubtedly welcome the extra time to prepare his first team after learning this week that veteran defender James Riley, an off-season pick-up from the Seattle Sounders, is out six months — basically the season — after undergoing surgery on his left knee joint. 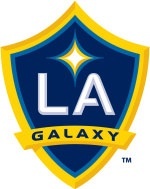 Riley suffered the injury in the 32nd minute of the Galaxy’s 1-1 draw Saturday with Real Salt Lake. The injury essentially will erase Riley’s 10th MLS season and at age 31 seemingly puts his career in jeopardy. He had played just twice for the Galaxy, but was seen as the successor to the departed Sean Franklin at right back. *Omar Gonzalez and Landon Donovan are heading to Phoenix to link up with the national team ahead of Wednesday’s game against Mexico. The 22-player roster is here. *Finally, in what amounts to a strengthening of its commercial relationship with primary sponsor Herbalife, the Galaxy announced the formation of a sports science department headed by trainer Armando Rivas, who becomes director of sports medicine. Alex Savva becomes the club’s manager of sports science. In his new role, Savva will ensure players are able to perform optimally by implementing nutrition and supplementation programs in line with their training and weight goals. This will include nutritional consultations; dietary planning; measuring body fat and weight periodically; hydration testing; blood testing to assess nutritional deficiencies; analyzing GPS data; and providing feedback to coaches and medical staff.